Ray started his career at Filham Park Vets in 1996 and qualified as a veterinary nurse in 2001, having studied at Bicton College gaining the pre and student veterinary nursing qualification. He has also gained the A1 assessor teaching qualification and clinical coach qualification. Ray has a keen interest in orthopaedic surgery, anaesthesia and pain and wound management. He has completed a BVNA wound care certificate, which benefits our patients and practice as it ensures a gold standard approach to wound care. Ray has a rescue Jack Russell called Lenny, a cat called Squeak and three ferrets. Away from work he enjoys spending time at the different beaches Devon has to offer with his wife and two children. They also enjoy visiting local National Trust properties. Paula started veterinary nursing in 1987 and has worked in small and large animal practices. She was first employed in Oxfordshire but then moved to the South West in 1988 where she has worked ever since. Paula attended Bicton College and Duchy College and qualified as a veterinary nurse in 2003. She joined the Filham Park team in 2016. Paula’s interests within practice are anaesthesia and surgery, nurse clinics, orthopaedics, physiotherapy, first aid and critical care. Paula has had many animals over the years but currently owns a rescued Labrador cross called Anna, who she adopted from Gables Farm Cats and Dogs Home. She has a keen interest in all animals, marine and dolphin life, horses, dogs and especially cats. In her spare time Paula enjoys walking on the moors and on any beach and enjoys spending time with her granddaughter. David started working for the practice in 1999. He attended Bicton College, where he gained the NVQ level 2 and level 3 diploma in veterinary nursing. During his time at Bicton College he also achieved an NVQ level 2 in animal care. In 2016 he gained a certificate in small animal nutrition. David has been involved in multiple animal charity trips abroad in countries such as Ibiza, Greece, The Gambia and Cyprus. Throughout his life he has been surrounded by animals and currently owns a rescue Parsons Jack Russell Terrier called Lizzie who was abandoned at the practice. David also has a rescue tortoise called Lola (Captain Beaky) who has a very odd appearance as she looks like a “pancake” and whistles when you call her name. His main interests within practice are dentistry, nutrition, radiography and laboratory diagnostics. In his spare time he enjoys socialising with family and friends, walking Lizzie and playing badminton and skittles. Kirsty qualified as a registered veterinary nurse in 2004 after completing her studies at Bicton College. 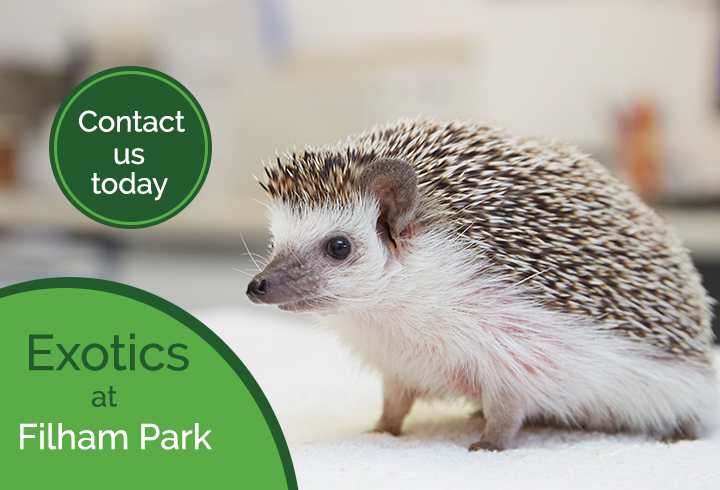 She worked at a small animal clinic in her native city of Plymouth for over 15 years before joining the lovely team here at Filham Park Vets. Kirsty enjoys all aspects of veterinary nursing but her main interests are nurse clinics, inpatient care and nursing wildlife. Kirsty is our ‘Cat Advocate’ for the practice, helping us provide a cat friendly clinic along with the ISFM (International Society of Feline Medicine). She is owned by Riley, her naughty Terrier, Winston the lazy cat, and Buffy the chicken. In her spare time she can be found exploring the beautiful beaches of Devon and Cornwall with naughty Riley in their trusty Fiat Panda or volunteering with StreetVet, a local organisation providing veterinary care to the pets belonging to the homeless people of Plymouth. Libby started working at Filham Park Veterinary Clinic as a student veterinary nurse in 2015. She later completed her degree in veterinary nursing at Duchy College in October 2018. Libby’s main interests in practice are laboratory diagnostics and inpatient care. In her spare time she loves walking her chocolate Labrador, Tilly, and meeting up with her friends. Sophie is a registered veterinary nurse enrolled with the Royal College of Veterinary Surgeons. She qualified in July 2012 after completing the NVQ level 3 diploma in veterinary nursing at Duchy College, Rosewarne. During her time at Duchy she also achieved an NVQ in animal care and an animal nursing assistant qualification. Sophie joined the team at Filham Park Vets in August 2010. Since qualifying she has gained her clinical coach qualification, allowing her to mentor our student veterinary nurses. Sophie has completed her graduate diploma in professional and clinical veterinary nursing at the Royal Veterinary College with modules in emergency and critical care, medical nursing and diagnostic imaging. She thoroughly enjoys all aspects of her job and has a particular interest in medical nursing, canine behaviour and nurse clinics. Sophie owns a Fox Red Labrador called Reggie, two cats called Elvie and Gilbert and a tortoise called Michelle. Beth started studying at Bicton College in 2012. She first qualified as an animal nursing assistant in June 2013, then started training as a veterinary nurse here at Filham Park Vets in November 2013, qualifying in November 2016. She left the practice for a short time in 2015 but soon returned to Filham Park at the start of January 2017. Beth has gained her BVNA merit award in dermatology and has enjoyed implementing her new skills in practice. At home Beth lives with her black Labrador, Harvey and cat Stompy, both of which were rescued from Gables Farm Cats and Dogs Home. In her spare time Beth enjoys heading out with Harvey to take photos in the beautiful Devon surroundings and volunteering for StreetVet, a local organisation providing veterinary care to the pets belonging to the homeless people of Plymouth. Jenna is currently studying for her veterinary nursing degree at Duchy College. She started working at Filham Park Veterinary Clinic in September 2018 and is set to qualify in 2021. Jenna enjoys meeting all the little puppies that come through our doors and at home enjoys the company of her two dogs, Elly the Border Collie and Jasper, the West Highland White Terrier. Kayleigh is currently studying for her level 2 animal nursing assistant qualification at Bicton College and is hoping to progress on to the level 3 veterinary nursing qualification. She started working at Filham Park Veterinary Clinic in November 2017. In her spare time, Kayleigh enjoys riding her horse, Floss, or spending time with her Siberian Husky, Wisper.